Julia Cameron’s groundbreaking Artist’s Way program has helped millions of individuals around the world discover their creative selves. 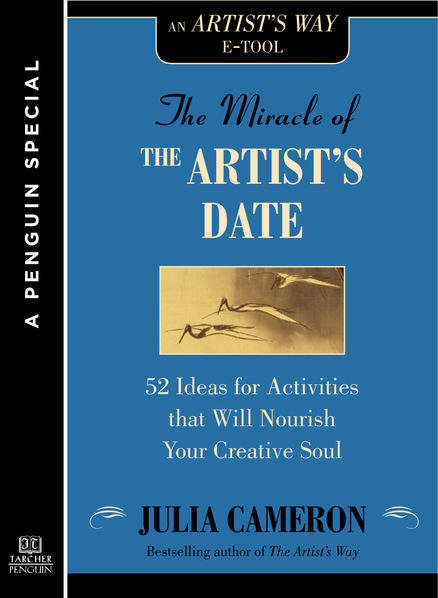 In this invaluable companion to The Artist’s Way, Cameron provides further insight into one of her most powerful Artist’s Way tools: The Artist’s Date. The Artist’s Date is a block of time that aspiring and established artists devote to stepping aside from their work to engage in simple, fun activities that nourish their creative spirits. All artists have experienced creative blocks and know the feeling of keeping their noses to the grindstone, making their days feel only dutiful and drab. According to Cameron, what is needed is a good dose of enforced play, whether it involves a trip to a museum or toy store or simply baking a pie. In The Miracle of the Artist’s Date, Cameron presents 52 ideas for Artist’s Dates—one for each week of the year—that will inspire and delight. Also included in this e-special is an excerpt from The Artist’s Way for Parents, the most highly requested addition to Cameron’s canon of work, as well as an excerpt from The Prosperous Heart, in which Cameron offers the practical financial tools to guide you to prosperity in all areas of your life.